DID YOU KNOW about ConstraintLayout? 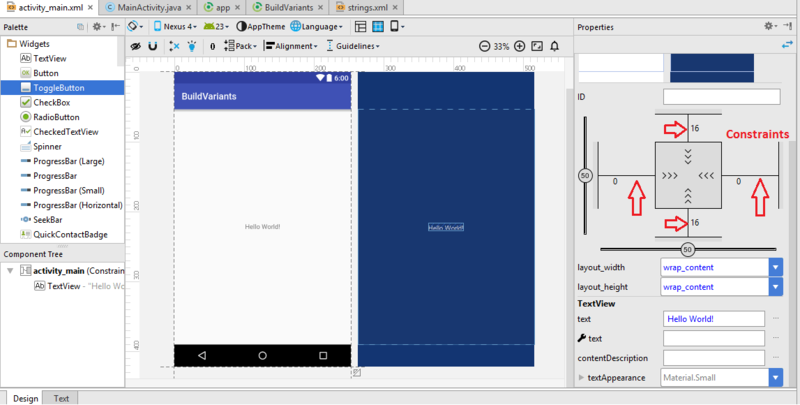 ConstraintLayout is a new type of layout introduced by Android, similar to RelativeLayout but more flexible, and it is used to position UI elements relative to other UI elements by using constraints. A constraint represent the rules we have to apply in order to position our UI elements relative to each other. by using Autoconnect (before, the layout editor started with Autoconnect enabled, but from Android Studio 2.2 Preview 5, it is now disabled by default. Also, the icon will be visible only if you use ConstraintLayout). the difference between Autoconnect and Inference is that, Autoconnect creates constraints for the widget being currently moved (the current widget is constrained by other widgets, but other widgets won’t be constrained by the widget currently being moved) , whereas Inference creates constraints among all elements in a layout.